We had a very nice Valentine's Weekend. Mr. 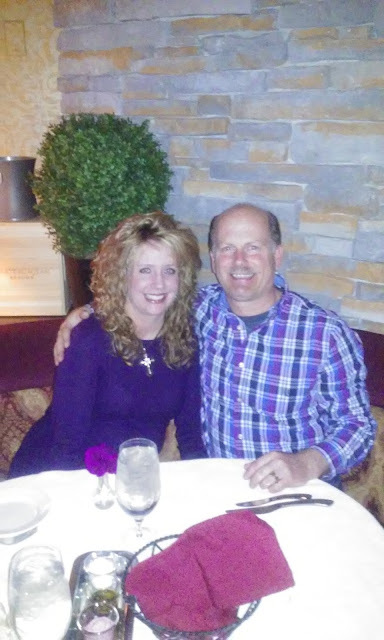 Darling took me out for an incredible surf and turf dinner on Saturday evening. It was such a treat to share a meal with him alone. No dogs staring at us from the living room...LOL! Sunday I set the table and decorated for my 2 special guys. 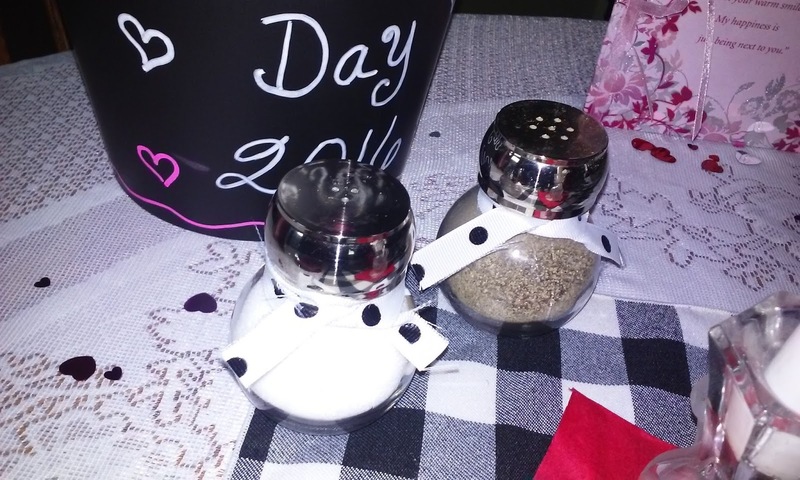 Even my plain little salt & pepper shakers got dressed up for the occasion. and a lovely ceramic wine bucket my friend at work gave to me for Christmas. 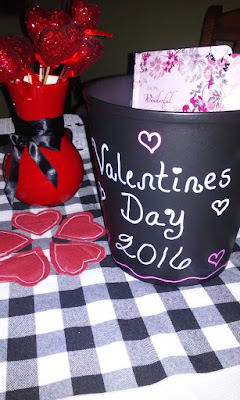 It is very unique in that it you can use chalk marker on the outside to decorate it for any occasion. I will definitely be using this a lot! Cute! I love the black and white with red - nice combo! It is cute. It's moments like these that are memorable. Sounds like a wonderful weekend! Your table was so pretty! Have a wonderful rest of the week! Thank you Vicky, I hope your week is going well too. It's Friday Eve!! Sounds like a a fun and memorable weekend! Hi Karen, looks like a fabulous weekend. Love the red. black and white I did a tablescape recently with those colors. Your new follower. 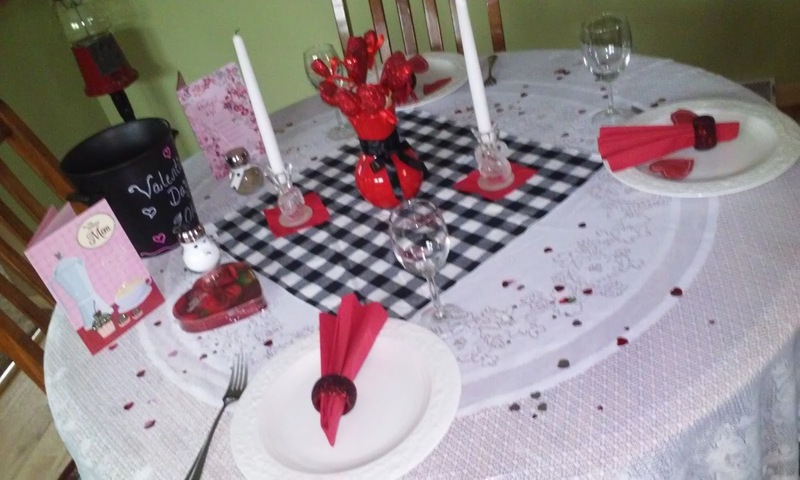 Hi Karen, looks like an incredible dinner out with your sweetheart. You two are adorable. What a great photo. 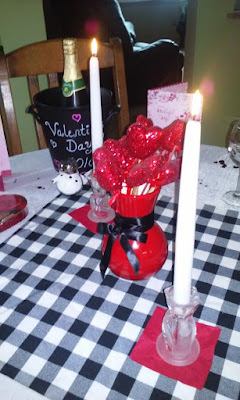 Love your pretty Valentine table at home too. You know how much I love black and white with red. You created a gorgeous setting. Hello Celestina, I did think of you when I put these colors together :) Thanks for coming by and have a wonderful weekend! Great photo of the 2 of you! Such a sweet tablescape! 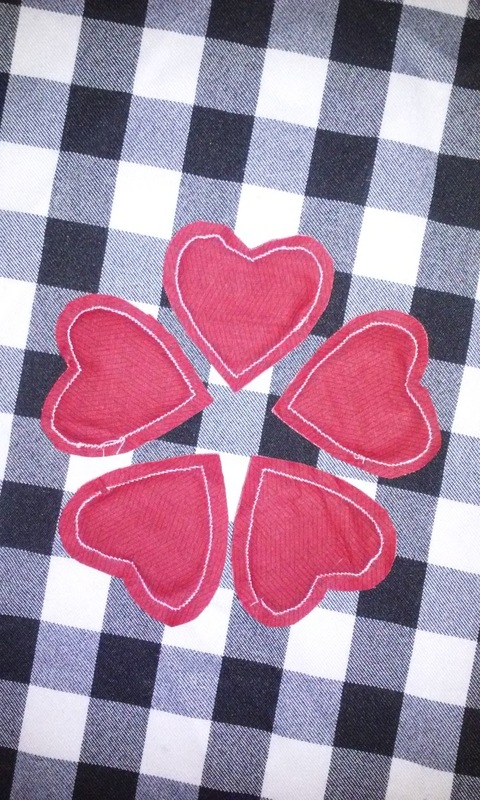 Looks like you have a wonderful Valentine's Day too! what a cute pic of you and the hubby! So nice to be able to spend some special time together. 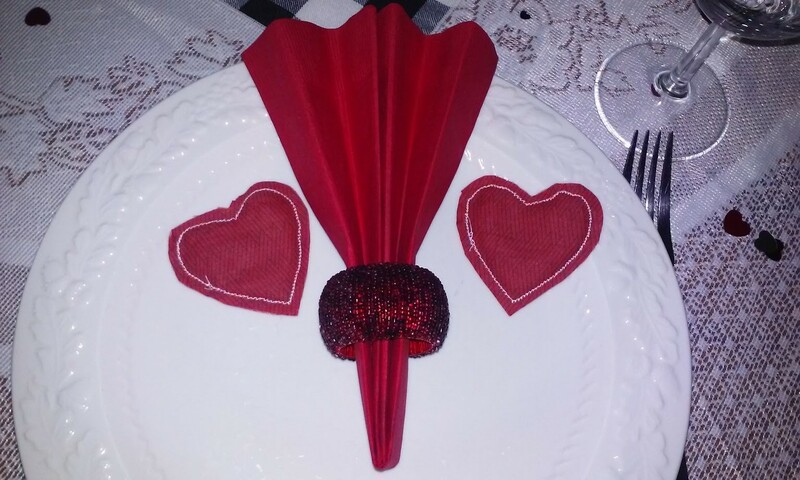 Your table is very festive, love the color combo, perfect for Valentines Day! PS. thanks for visiting and leaving such a sweet comment! 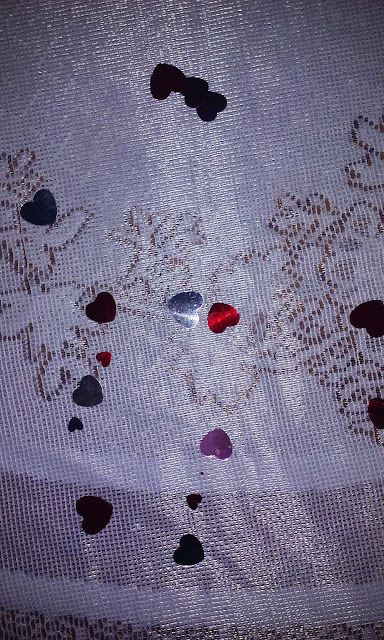 It looks like you had a very nice Valentine's Day. 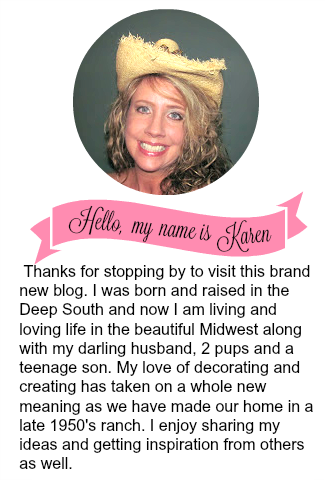 I love the new design of your blog with the two separate hats, very cute! P.S. I had a good time with your "What is It" Post!